I have always wanted to bring Jah for a fire station visit but figured we will wait till he is a little older to ‘get it’. So when we were looking for a ‘quick morning outing’ this Saturday, we thought why not the fire station. 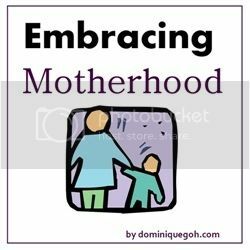 A quick morning outing for us = one that will allow us to be home by 12 noon for a nap and is usually required when we have an early evening commitment planned. 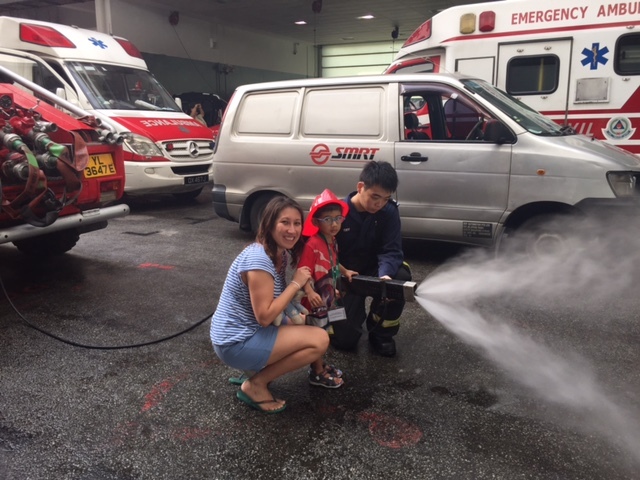 We found out that most fire stations in Singapore conduct Open House tours every Saturday from 9am to 11am. We weren’t sure if this meant that we could go in at 10am? 1030am? So we headed out bright and early and arrived on the dot at 9am. We later noticed that tours were being held as visitors came in, some tours fuller than others and I suppose it also depends on the manpower at the station at that point. We were given a tour of the station, well more so of the vehicles and equipments which the Firemen use. The highlight for the kids was of course when they were allowed to use the equipment to fight the ‘fire’/orange cones. As always Jah took a while to warm up to new activities and was abit hesistant to fight the fire or to sit in the vehicles for photos. He decided post tour that he would ‘do more’ the next visit. Bella on the other hand was super eager to get her hands dirty. 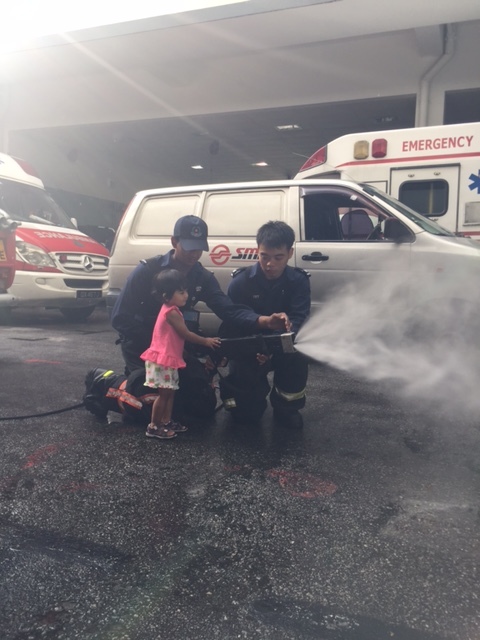 We really didn’t think to offer her a chance at fighting fire, I mean she is only 19 months old but she actually ‘asked’ to do it. She is well and truly our little no fear fighter. We didn’t quite know what to expect from the fire station visit but I would say it was a rather educational tour especially for the adults and it was good fun for the kids. 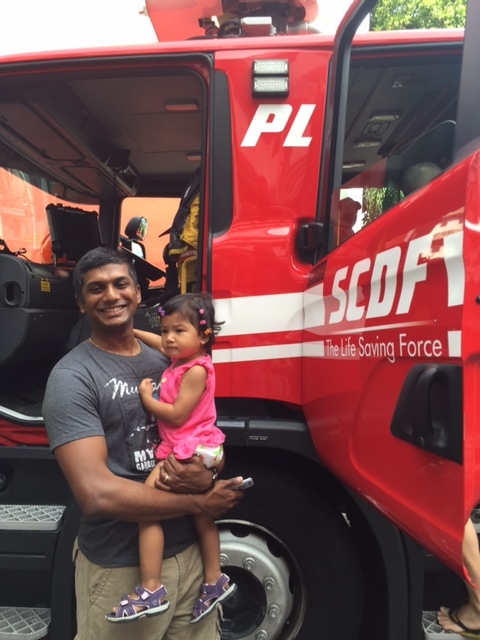 Every kid was given a little SCDF plastic fireman helmet which Jah and Bella loved and yes this is definitely an activity that we would do again.